Nixon’s partner to victory in the inaugural edition of the race last year Sabina Lawrie has signed up Olympic medallist Bridgitte Hartley in the engine room of their double ski, guaranteeing that the women’s race will be a stand-out element of the 27 kilometre race from the V&A Waterfront around Robben Island and back. “While I am sad that Sabina (Lawrie) and I won’t be together to defend the title, I am really excited to have Mich (Burn) in the boat with me, because, in many ways, we have some unfinished business,” said Nixon. 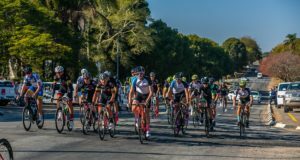 “We raced together at the World Marathon Champs in Pietermaritzburg in 2017 where we finished fifth. We were the two unknown surfski paddlers taking on the best women’s marathon crews in the world and we were thrilled with our result. “Then Mich took a break to have their new baby Cory, and she is now back to training full steam with our training squad,” said Nixon, who is the reigning women’s surfski world champion. The Carbonology/Shaw & Partners/Euro Steel duo resurfaced for the penultimate race of the recent Marine Surfski Series where they laid down a marker by finishing third double ski overall and winning the women’s doubles title with deceptive ease. Both are highly skilled surfski paddlers, capable of managing any conditions they encounter offshore, and while the Oceana Powerboat Club start of the race in Cape Town will take surf out of the equation, both are acutely aware that conditions for the circumnavigation of Robben Island can get very demanding. 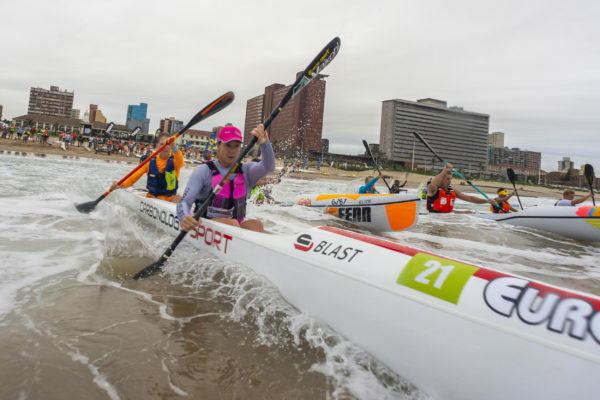 “Maybe it is good that I don’t know the Cape sea conditions that well because surfski is all about adapting to conditions as you find them on the day,” said Nixon. Nixon added that the race was a highlight of the paddling calendar, as it allowed the paddling community to make a statement on Freedom Day by focussing attention on the island where Mandela was imprisoned. “There is a beautiful story being told by this race,” said Nixon. “Surfski paddlers around the world will cotton onto this as it makes this race really unique. 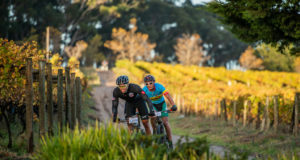 “I clearly remember last year turning around to Sabina (Lawrie) when we turned around Robben Island and headed back towards Table Mountain and saying that the whole experience was unreal. I didn’t want it to end,” she said.